A special thank you to Pa'lante Latino. The International Latino Book Awards are tomorrow night in NYC and I will be attending. 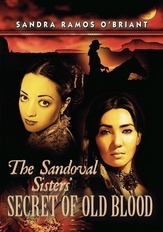 The Sandoval Sisters is a finalist in two categories, but competition is stiff. Whatever the outcome, my son and friends at Pa'lante Latino advised me to attend: "Youre already a winner." I was hoping that Victoria Cepeda and Efrain Nieves would be there. It's through their early support that I kept on plugging and the readership for this story written by a genuine half-Mexican has grown. Thank you to all my fans and friends. Recently I had the pleasure of learning about Sandra Ramos O’Brient‘s work as she became a fan of Pa’lante. 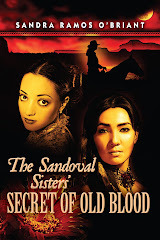 “Las Hermanas Sandoval” or The Sandoval Sisters is about women during the Mexican-American War who are caught in the crosshairs of history. Ramos O’Briant successfully blends the components which mark Latin American novels: passion, love lost, adventure, romance, erotica and sacrifice.